Ugo Mattei is a professor of law in Turin and at the University of California, Hastings. He is the author of Plunder, When the Rule of Law is Illegal (with Laura Nader), and most recently The Ecology of Law with Fritjof Capra. 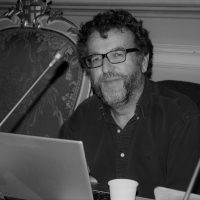 In 2011 he authored Bene Comuni: Un Manifesto, a manifesto for the commons that could provide the theoretical basis for the current wave of resistance against neoliberalism. He has been a leading promoter of the Italian referendum against the privatisation of water. Różnorodność pojmowania i zarządzania zasobami – zarówno w świecie naturalnym, jak i wirtualnym – pokazuje, że podejście oparte na idei dóbr wspólnych może nas prowadzić do zupełnie innych rezultatów niż kierowanie się logiką rynkową. Wywiad z Molly Scott Cato i Ugo Mattei. What are the different ways resources can be managed and what different outcomes does it lead to?